On Sunday, The Fresno Bee – Anzula’s local paper – ran an article with photos about the prospering yarn and knitting culture in our home town. 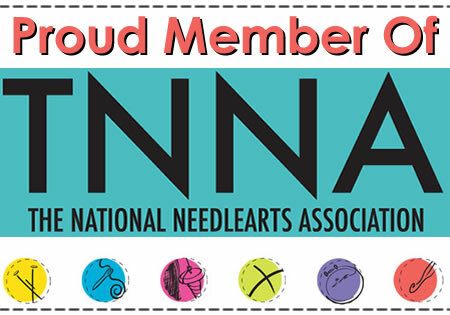 The piece focuses on Fresno’s three local yarn shops: Janna’s Needle Art, SWATCHES, and The Knit Addiction, which expanded their premises exponentially in November. Reporter Bethany Clough spoke to various members of Fresno’s many knitting groups about what they knit … and what they knit with, like Anzula yarn. Clough visited the Anzula factory, and Fresno Bee photographer, Craig Kohlruss, captured a rare photo of Sabrina in mid-dye. The article has a feature on Anzula, as the only large-scale local dyeing operation in the entire area. In her interview with Sabrina, Clough reported on how Anzula has grown from being a hobby, to being a small business out of Sabrina’s home, to the yarn now being carried not only in the three yarn shops locally, but to 60 shops all over the continental United States and Canada. The piece is a wonderful showcase of how one small community can support not just one shop, but three, as well as a full-scale dyeing operation. And the entrepreneurial benefits knitting and craftsmanship can bring to just one local economy. This Tuesday our yarn & fiber are going on a little field trip. They will be spending the next two weeks at Ancient Pathways. During these fabulous two weeks you will get to oooh & aaah over our 40 lines of yarn & spinning fiber. Yes, that really is a lot of fiber. As a special little treat for all that were unable to attend Sock Summit, our three submissions to Dye For Glory will also be available. Today I will be reskeining & labeling the last of the skeins that I have dyed especially for this show. This will also be the first time our new label will be seen in public. There are only a handful of skeins that will have our new label because as much as we would like to relabel everything. We thought it would be a bit wasteful to toss a thousand perfectly good labels. For those lucky few that will be able to get their hands on our skeins with the new label, we would love to hear what you think of it. On a side note, if you look down & to the right you will see something new. We now have out Twitter stream on our blog. ETA: Oh, and look up. We have a new logo! Watcha think?